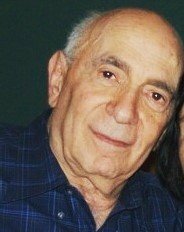 Joseph H. Wasserman, a retired Yonkers public school teacher passed away peacefully on December 18, 2016 at St. John’s Hospital in Yonkers, NY. He was 84. Joseph was born on 6/13/1932 to Louis and Helen. After completing his bachelor’s degree at NYU,he worked for the Jewish Anti-Defamation league. Soon after he decided to become a teacher and never looked back. He completed his master’s degree at College of New Rochelle. In addition to teaching, Joseph was a basketball coach at the Graham School for over 25 years. Joseph loved collecting stamps, but his true passion was sports. He was a devoted NY Mets and UConn Huskies fan. Mr. Wasserman was well-known for his kindness,friendliness,generous and warm spirit to everyone who crossed his path. He will be deeply missed. He is survived by his beloved wife of 59 years, Phyllis,loving daughter Nancy and her husband James Chasen,and his son and “buddy til the end,” David and his wife Paula,as well as his beloved sister,Florence Harte. In lieu of flowers, the family has asked that any donations be made to: Anti-Defamation League. Please click on the link to the left. It is so sad to hear of the passing of Mr. Wasserman. Our two boys had him as a fifth grade teacher in the early eighties at school #17. We always appreciated his kindness and his ability to intellectually reach our children in the classroom. While our children now have children they do remember him. As my wife remembers "everyone wanted to be in Mr. Wasserman's class".